The Pyronix CUBE-CAM/28 is a 2MP HD 1080P indoor IP Cube camera. Its strength is the 2-Way audio capability as it has a built in Speaker and a Microphone. The camera also comes with a range of features such as a built in PIR, dual streaming, day and night function, digital wide dynamic range, power over ethernet & wireless networking Wi-Fi for quick and easy installation. 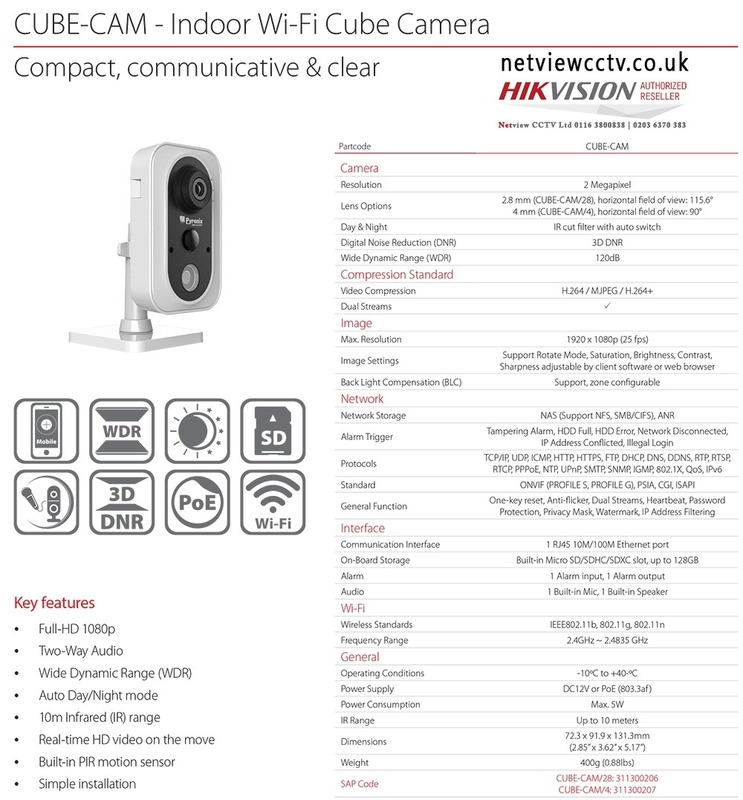 This camera is fully compatible with all Hiwatch & Hikvision NVR's.